On January 9, Turkish President Recep Tayyip Erdogan called the US trial over the Turkish banker Mehmet Hakan Atilla a new attempt at organizing a coup d’etat in his speech before the Turkish Justice and Development parliamentary party, RIA Novosti reports. 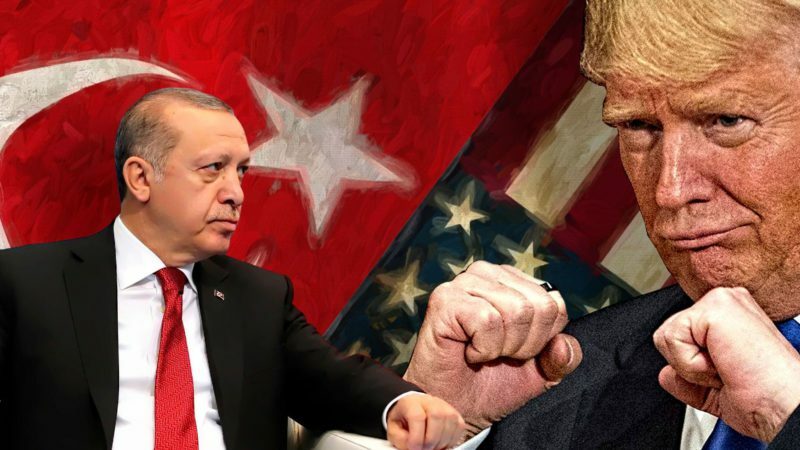 Erdogan highlighted the political component in the situation around the trial against Atilla, the deputy CEO of the Turkish lender Halkbank, and he linked it to the attempted coup on July 15, 2016. Turkey’s Foreign Ministry Mevlüt Çavuşoğlu said that Atilla’s arrest in the United States was influenced by members of Fethullah Gülen’s group, whom the Turkish authorities accuse of organizing the attempted coup in 2016. Gülen remains in the United States. Turkish banker Mehmet Hakan Atilla is being accused of helping Iran to subvert sanctions imposed by the US against the Islamic Republic. The case also mentions large bribes to Turkish authorities, such as the Minister of Finance, turning a blind eye to monetary transactions in circumvention of sanctions. One of the arrested, businessman Reza Zarrab, admitted to giving a bribe and confessed that Turkish President Erdogan was aware of the transactions. This entry was posted in News from the Middle East and tagged Political War, Turkey, USA. Bookmark the permalink.